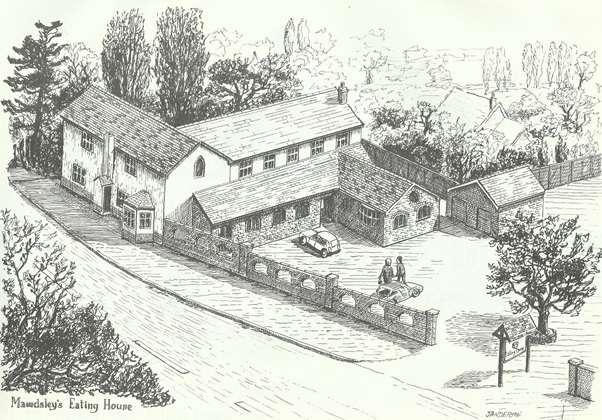 Mawdsley's Eating House was a move recent addition to the hotel scene in the area and whilst a successful business and popular wedding venue in the 1990's it eventually closed in 2010 and lay derelict for a number of years. The name was not a spelling mistake as it was run by Mr. John Andrew Thomas Mawdsley who started there in 1994. 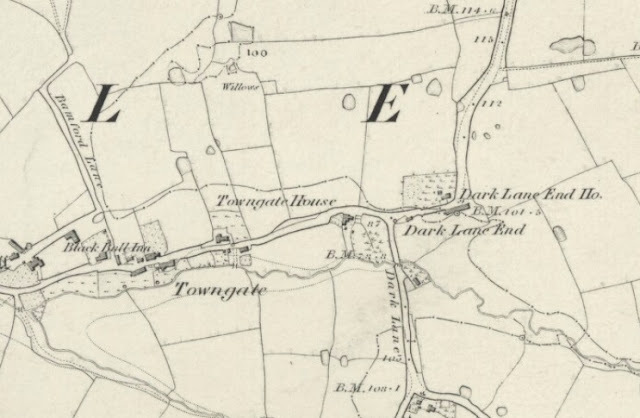 The original building I believe was Towngate House as shown on the 1845 map above, located close the junction with Dark Lane and just down the road from the Black Bull. In later years it was extended significantly as the business developed. 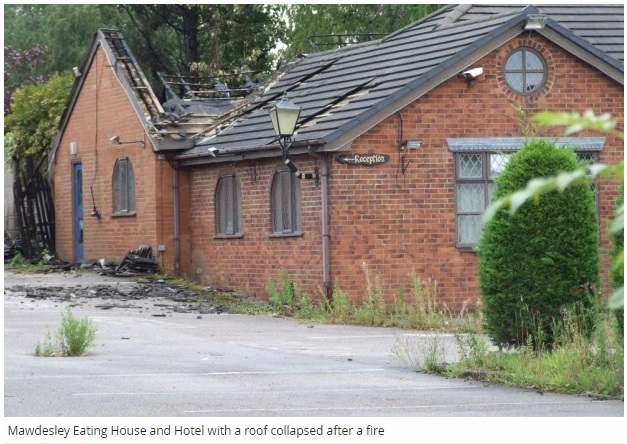 A derelict restaurant that was badly damaged by arsonists is set to be given a new lease of life as a care home. 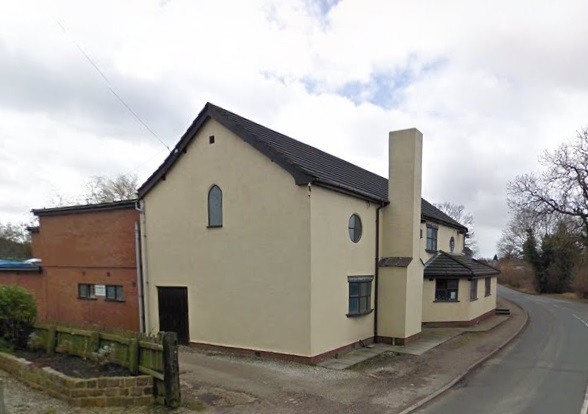 Plans have been submitted to demolish the former Mawdesley Eating House and Hotel on Hall Lane, in Mawdesley. Last August a blaze ripped apart the roof of one of the empty buildings and fears have been growing about youths climbing on the unsafe structure. Now Janet Dixon Town Planners Ltd have submitted plans to Chorley Council for the 0.85 hectare site on behalf of Stocks Hall Care Homes. The application includes renovating the main hotel, demolishing the other buildings and replacing them with a new-look two storey premises. If the care home plan is approved there will be 52 en-suite rooms available. 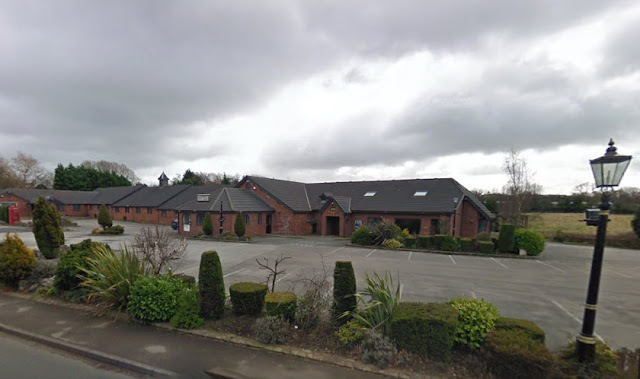 Coun Keith Iddon, who represents the area on Chorley Council and lives on Bradshaw Lane in the village, said: “We have been very impressed by the professionalism of the developers when they held a consultation event to show off the plans. “Lots of people locally are quite pleased that it is going to be used for a care home. “We were worried that it could be another housing development and that the village would lose its identity if more homes are built here. “Instead, it will be nice to see something being finally done because the building has been vacant for a few years now and when they start work I think it will develop the landscape. 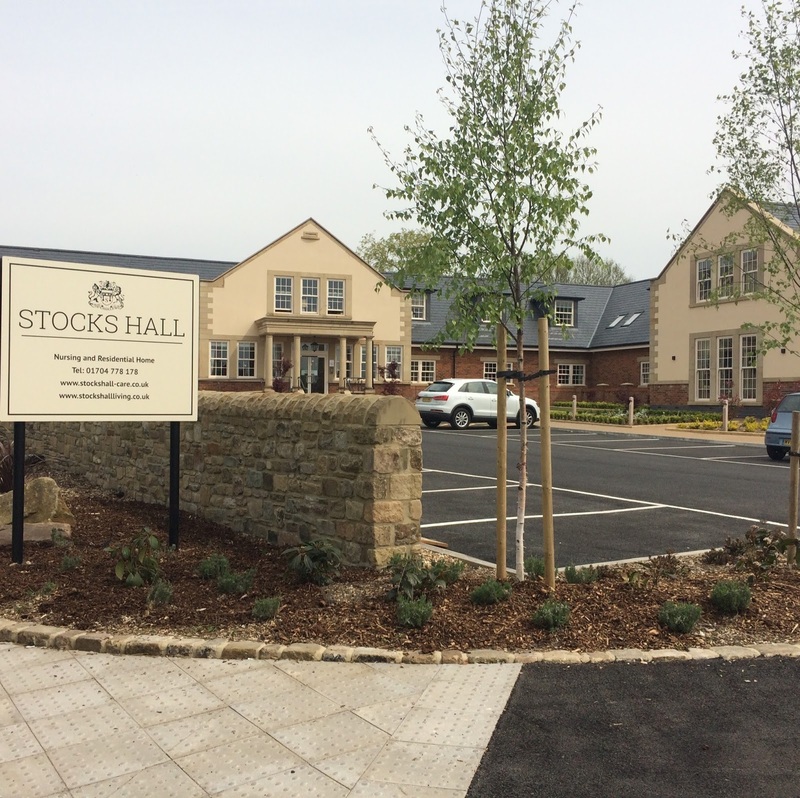 Thankfully the development went ahead and it is now the location for Stocks Hall.